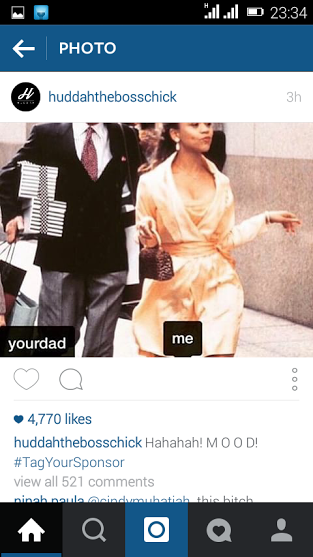 Socialite Huddah Monroe does not usually have a lot of problems with other celebs but when she is provoked she attacks like a wild cat. 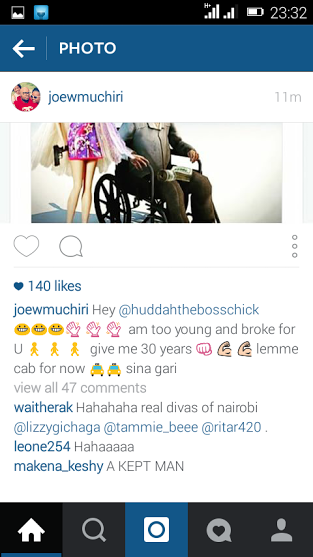 This time round Capitals FM's Joe Muchiri was on the receiving end. 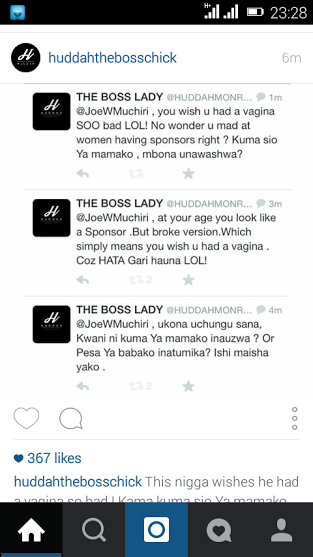 The exchange of words on instagram started when Huddah Monroe posted a photo of a young lady with an old man whom she called a sponsor, then Joe Muchiri took a screenshot of the photo and posted it on his instagram probably to try and embarrass Huddah. What followed is what Joe will never forget. Here is how it went.